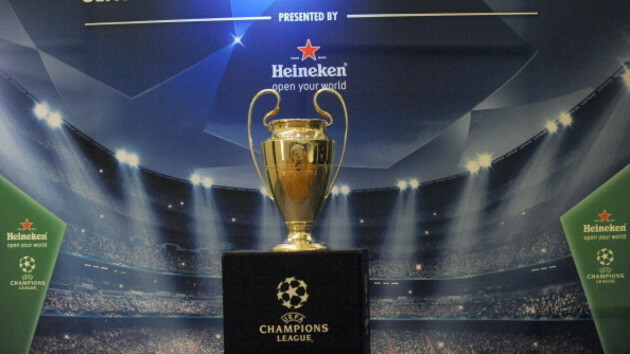 Champions League: The Quarter-Finals Draw in Full - TSB.com.ng! Defending European Champions Bayern Munich advanced to the quarter-finals after knocking out London outfit Arsenal for the second time in two years in the round of 16. Last year’s runners-up, Borussia Dortmund, made their way into the last eight after a thrilling affair with Russian side Zenit St Petersberg. Meanwhile, La Liga sees three teams advance into the final eight – the most of any league – as Barcelona, Real Madrid, and Atletico Madrid eased their way past Manchester City, Schalke and AC Milan respectively, with Real Madrid looking like tournament favourites after thrashing their Bundesliga opponents by an aggregate of 9-2. The Premier League only sees two sides reach the final eight, with Manchester United needing a miraculous comeback to fend off pesky Greek side Olympiakos and Jose Mourinho’s side displaying the tough style against Galatasaray that has typified teams managed by the ‘Special One.’ Ligue 1 is represented by mega-rich French outfit PSG after they knocked out Bayer Leverkusen, while Serie A is the only one of the five major European leagues that is not represented in the quarter-finals of the competition.